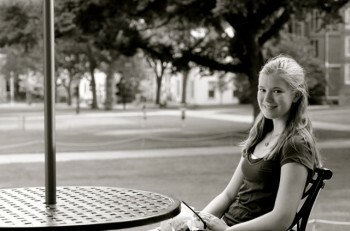 Eliza Harrison is currently a junior at Santa Fe Preparatory School. As a dedicated member of the Santa Fe community, Eliza recently joined the Atalaya Search and Rescue Team in hopes that she would be able to put to use her recently acquired Wilderness First Responder Medical training to use. Along with her medical training, Eliza works for Generation Next – a section of the Santa Fe New Mexican written by and for teenagers. Her interest and passion for the outdoors is also notable. Since she was one and a half years old, Eliza has been an avid skier. Upon reaching the age of eight, Eliza made the switch to telemark skiing. Along with skiing, Eliza is an enthusiastic whitewater canoeist, kayaker, and hiker. Her love and passion for the outdoors is deeply engrained within her – a characteristic that accounts for her desire to help reduce the effects of climate change. Overall, Eliza is a spirited, enthusiastic, and passionate teenager who hopes to have a significant impact on the world around her.